What is a deductible? How is that different from "out of pocket maximum"? Henri Cross of Insure-EZ explains. 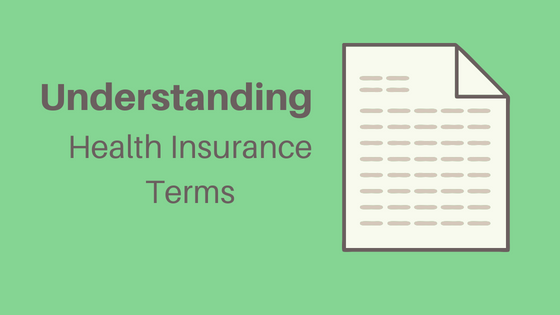 Knowledge is power, such as understanding health insurance terms. I asked broker Henri Cross of Insure-EZ, if I could re-publish a definition of health insurance terms he listed in one of his newsletters. I found it quite helpful; you will too. How well do you know the terms associated with your health care plan? According to industry surveys, most Americans overestimate their knowledge of basic health care details. Don't let a lack of clarity get in the way of making the right decisions. Take a look at these frequently misunderstood items so you can do what's best for you and your family. Premium: This is the set amount you or your employer pays for your health insurance every month. On top of your premium, you can expect to pay for additional health care costs, including a deductible, copayments, and coinsurance. Deductible: The amount of money you pay out of pocket each year for health care expenses before your insurance will begin to pay. After your deductible is reached, you'll likely still be responsible for copayments and coinsurance. Copayment: A copay is a predetermined flat fee that you pay for certain services, such as doctors' visits. For example, your plan may specify that you pay a set amount each time you visit your general practitioner. Coinsurance: After your deductible is met, coinsurance is your share of the remaining charges for covered services. Typically this is a percentage predetermined in your plan. You may pay 20 percent of the additional costs and your insurance company would pay 80 percent, for example. Out-of-pocket maximum: This is the maximum amount of money (in addition to your regular premiums) that you'll pay for covered medical services in a year; it includes deductibles, copayments and coinsurance. Once you've hit your maximum, your insurance provider will pay all expenses for covered services for the rest of the year. By educating yourself on these insurance basics, you'll be able to have a more empowering, efficient and cost-effective health care experience. Please reach out with any questions you have.